A man has been airlifted to hospital after getting into difficulty while paddle boarding off Bray Head, Wicklow on Sunday. 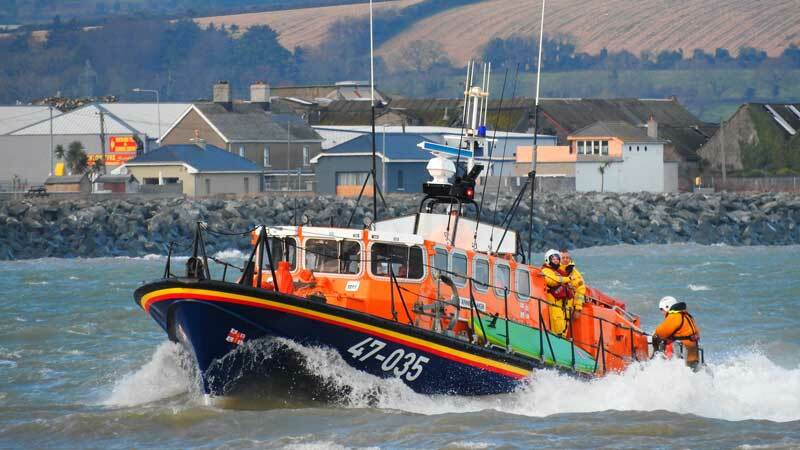 Shortly after midday, the Dun Laoghaire and Wicklow RNLI along with the Coast Guard helicopter Rescue 116 were tasked to the incident south of Bray head. The weather conditions were not good with strong gale force winds. Arriving at the scene, Dun Laoghaire RNLI lifeboat crew spotted the paddler who was clinging to his board and appeared in trouble. The crew managed to get the man onboard their boat. The crew quickly assessed he was suffering from serious hypothermia. The man was airlifted to hospital by the Coast Guard. Wicklow RNLI lifeboat recovered the paddle board and stood by as he was winched onto the helicopter.